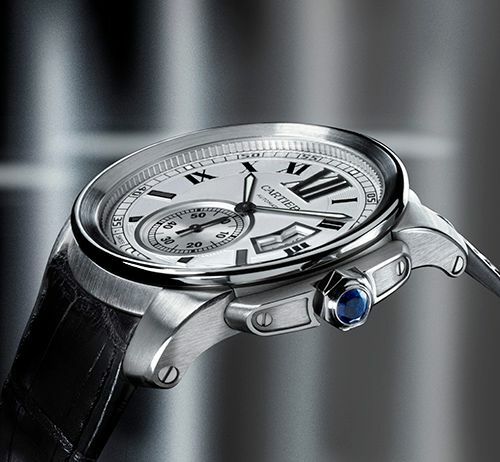 Earlier this year, Cartier introduced a new watch for men, Calibre de Cartier. A few years ago, Cartier introduced the Santos 100 to fulfil the demand for a more masculine watch, the Calibre de Cartier is their next-gen masculine watch with in-house movement. And perhaps this new model does the trick even better! I tried on the Calibre de Cartier during one of their events and I must say that I was quite impressed by the look and feel of this watch and perhaps just as important, the price tag. A list price of just below 5K Euro makes this watch an interesting competitor for the ‘usual suspects’ as a stainless steel Rolex, in-house Panerai or IWC. However, what does it mean to be a Cartier man? Will it still be a design statement? Or will people hold you for someone who wants to make a (design) statement but has no love for watches? Cartier is easily matched to jewellery and quartz watches for women, at least by the ignorant. I think that Cartier did a great job on the introduction of the Santos 100. Not to everyone’s liking, but at least it was a masculine watch that you could be seen with. I think this watch actually helped people getting over the idea that Cartier is a brand dedicated to women’s jewellery and wrists. Now, the Calibre de Cartier, as you can see in the video above, is a watch dedicated for the men who love mechanics and great design. One way or another, the case has some resemblance of a Panerai Luminor Marina because of the solid lugs and bulky crown guard, but it could perfectly be that this is just me. 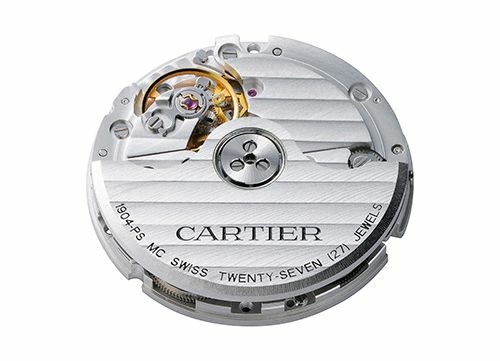 The mechanics inside the Calibre the Cartier is the all new developed caliber 1904 MC. A simple yet effective automatic winding movement, with hours, minutes, (small) seconds and a date feature. A number of brands decided to develop their own movements again, and with CAD technology and smart sourced knowledge they are at least able to do so (again). I assume that Cartier will be using the 1904 MC movement as a base calibre for future mechanical movement with complications and as their default movement for other watches in their line-up as well. The dial, case, crown guard, crown (with cabochon crystal) and alligator strap are finished to the highest standards. Very Cartier-ish is also the dial lay-out, with roman numerals on the upper half of the dial and ‘stick’ hour markers on the lower half of the dial. The minuterie is also done very nicely and the Swiss Made printing and two L’s to indicate the use of Luminova doesn’t disturb it at all. The only thing I am not particularly fond about is the date window showing 3 dates, as we also can see on the IWC Flieger Chronograph models for example. Perhaps the question isn’t “What does it take to be a Cartier man?” but “Do you dare to be a Cartier man?”. 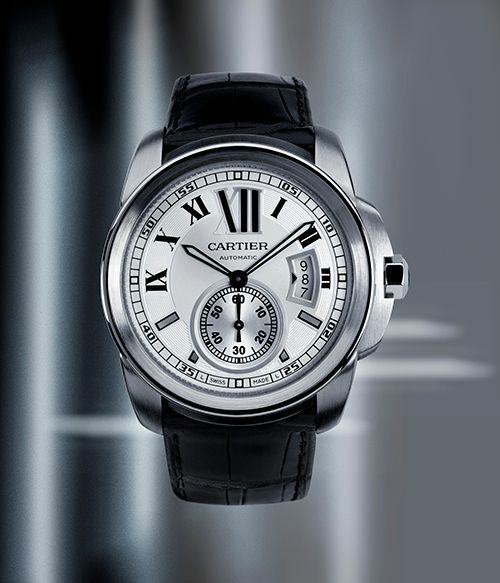 I probably would dare it, as long as they keep creating watches like this stunning Calibre de Cartier for men.